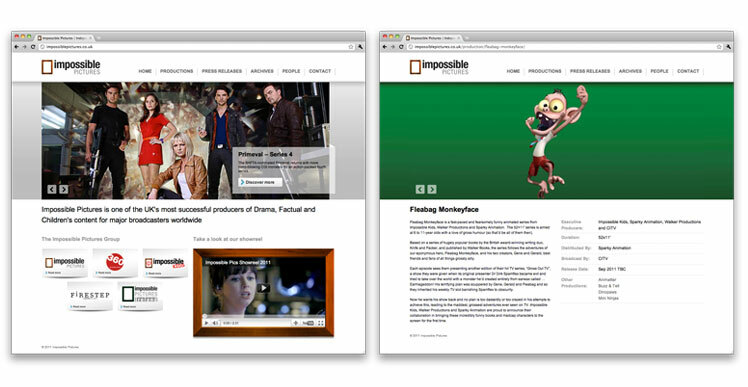 Impossible Pictures is one of the best known independent film companies in the UK for animation and CGI based productions, producing some the most popular TV programmes in the UK over 2011 including Primeval, Sinbad, Dig World War II, Fleabag Monkeyface & Buzz and Tell. Impossible Pictures Group consists of the following companies under its umbrella: Impossible Pictures, 360 Production, Impossible Kids, Firestep and most recently Impossible Pictures Ireland. With a strong business model, the challenge was to incorporate new up coming, current and past information into a fully functional self managed web presence. With a functional and simplistic approach for the UX (user experience) point of view, yet allowing for the adaptable growth of content, information and organic SEO exposure. Resolution Creative worked closely with Impossible Pictures during the early stages to create and produce a functional product which met all area's of the brief. With the use of a customised content management system we were able to utilise the development purely in HTML5 and the most recent modern web technologies in this production. WIth the additional use of optimised streaming video content included for increased exposure lent for the requirement of the latest social media integration. This project was a challenge to break new ground with the latest technologies and at the same time deliver a rich, informative user experience. 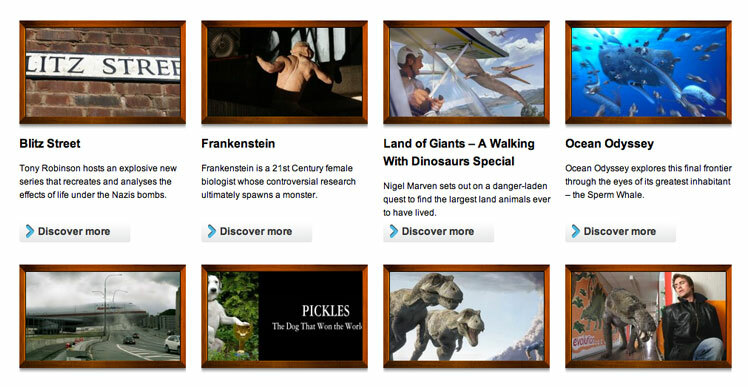 With an enhanced look, feel and userbility the Impossible Pictures website has increased its organic hit rate by 243% to date and given the business a firm platform for online content, latest news and press.